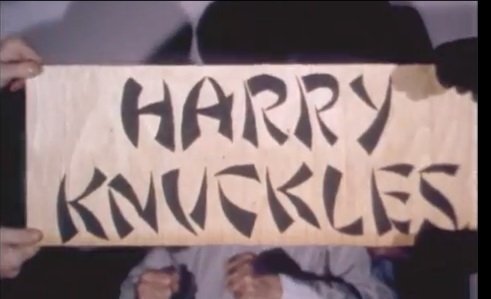 What It’s About: Harry Knuckles (Phil Caracas) fights his way through a trailer for the most amazing Canadian shot martial arts/spy movie never made. Why Watch it Today? : Filmmaker Lee Demarbe, who directed all the Harry Knuckles shorts and films (as well as former Movie of the Day Jesus Christ, Vampire Hunter) turns 42 today. I’d like to thank Lee for enriching my film watching experiences with this series of inventive and hilarious spoofs. This entry was posted in Action, Comedy, Espionage, Independent, Martial Arts, Movie of the Day, Short, Spoof and tagged Canada, Elvis, homage, Lee Demarbe, low-budget, Phil Caracas, spy, trailer.